heat up the frying pan add oil and mustard seeds, add onion , green chilly and ginger garlic paste fry till it gets golden brown, then add masala paste and tomato cook till it starts leaving oil , then add urad dal 1cup of water and salt and cook till it become’s thick. Garnish with coriander leafs and serve it hot with ROTI and RICE. How are you? I was in your country and Kerala, but could not meet any Blore blog friends due to lack of time. Thats a great recipe. 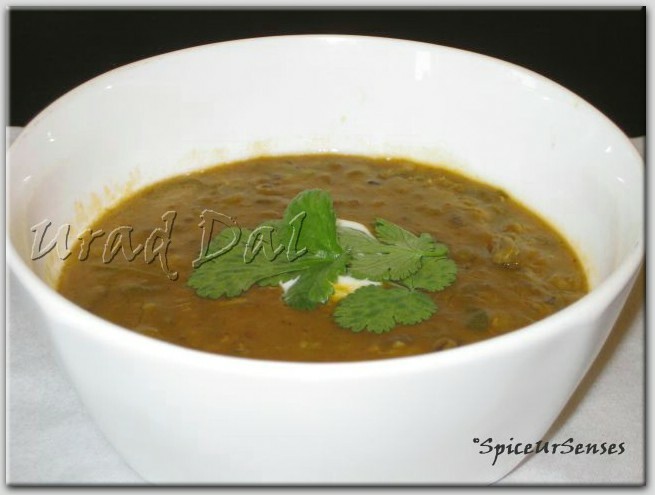 I love Udad dal in all its Avatar. Will try soon. Let me see what all I have missed during my absence. luks yummm..is that the whole urad?? we use that only for payasams...lovely dal.. This is a really delicious looking dal...yum!